It’s fifty years since Martin Luther King Jnr stood on the balcony of the Lorraine Motel in Memphis and received a fatal gunshot wound to the face, bringing his life to an abrupt and violent end. As jolting and unexpected as this dreadful moment was, in some ways it was not a surprise. At least not to him. 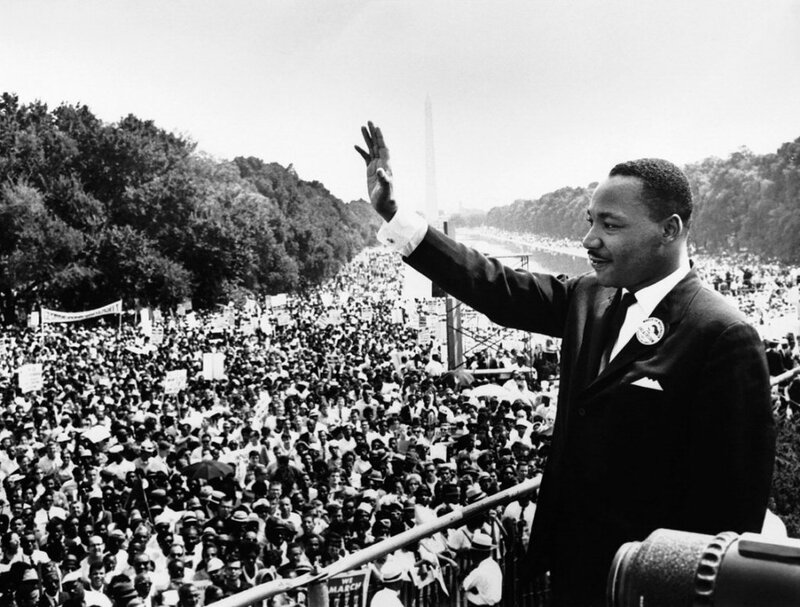 For over a decade King had been the leader of the American Civil Rights Movement. He’d been arrested and imprisoned dozens of times, had his life threatened and his character smeared by the FBI. He’d narrowly survived being stabbed in the chest by a mentally ill woman. All this time, King and his followers had patiently endured violence and vicious racism, answering it with a policy of passive resistance, strategically taking this non-violent resistance to the most perilous parts of America. King knew that danger was part of the territory and he accepted it. But he didn’t initially. In 1955 King became a somewhat reluctant leader of the Montgomery Bus boycott, a year-long, ultimately successful protest against the injustices black people experienced on public transport in Alabama. At that stage, King was a relatively unknown pastor of a small Baptist church in Montgomery. But his gifts as an orator made him an obvious spokesperson for the movement. His eventual commitment to the cause made him its undisputed leader. Early in the struggle, a personal epiphany proved vital in providing him with what he needed to play this role. During the bus boycott, he received a phone call at home telling him to stop what he was doing or he and his family would be killed. It was no idle threat. Plenty of people had already lost their lives for this cause. The late Christopher Hitchens, rightly acclaimed as a journalist and author, was an admirer of King but refused to attribute any of his activism to his faith. “In no real, as opposed to nominal sense … was he a Christian,” Hitchens wrote. Such a statement would have bemused King, who was so thoroughly soaked in the experience of the African American church and the black social justice movement, that he saw the entire endeavour of civil rights activism as emanating from that foundation. “For King, non-violence was not simply a tactic, it was a way of life that reflected the Creator, in whose image and likeness all of us were made,” says Albert Raboteau. Early in the struggle, King’s resolve was tested. Just days after his kitchen table revelation King’s house was firebombed with his wife and daughter inside. They were unhurt but that night his outraged supporters gathered at the front of the house determined to fight and seek revenge on behalf of their leader. King addressed the mob and told them to go home. They were not going to do things this way, he said, but would follow in the way of Jesus. They would choose non-violence. He even said they were to go and love their white brothers, no matter what. It’s an incredible reaction from someone who had just been attacked—revenge being a much more natural response. But eventually, King’s approach became essential to the movement and its success. The theologian William Cavanaugh believes King’s tactics reflected a belief that God identifies with the victim of injustice. “Martin Luther King brought bodies out into the streets, and when they got clubbed it became obvious to see on whose side justice really was. And that, I think, is a kind of enactment of the story of Christ,” says Cavanaugh. We are all painfully aware that King’s promised land still awaits African-Americans. But fifty years on, it’s worth reflecting on King’s journey, his vision, and its promise.